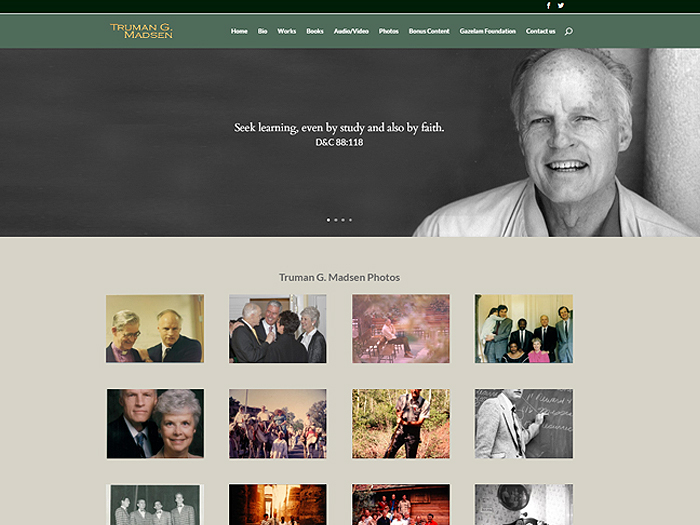 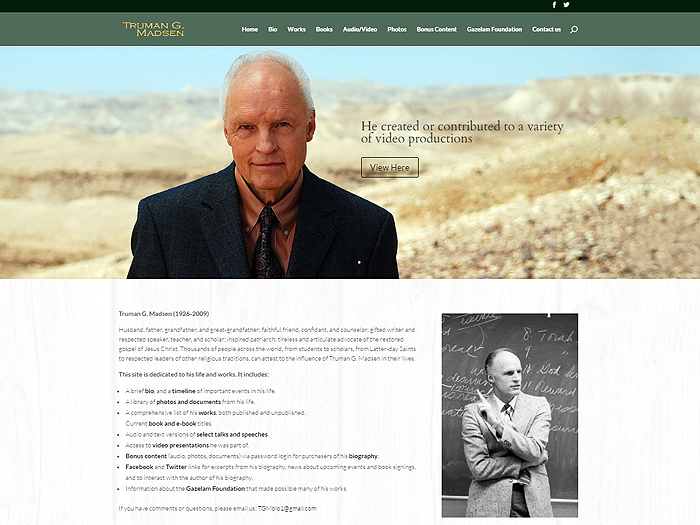 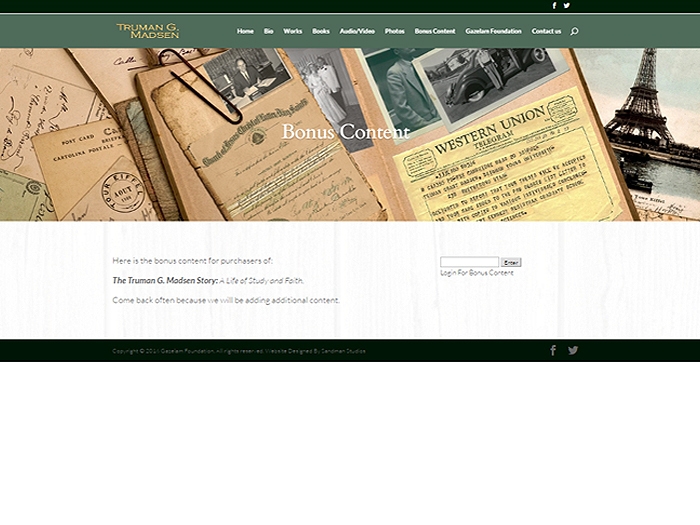 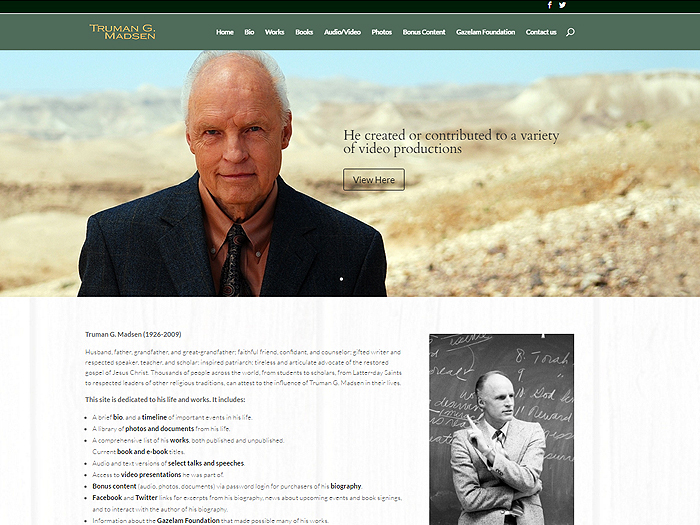 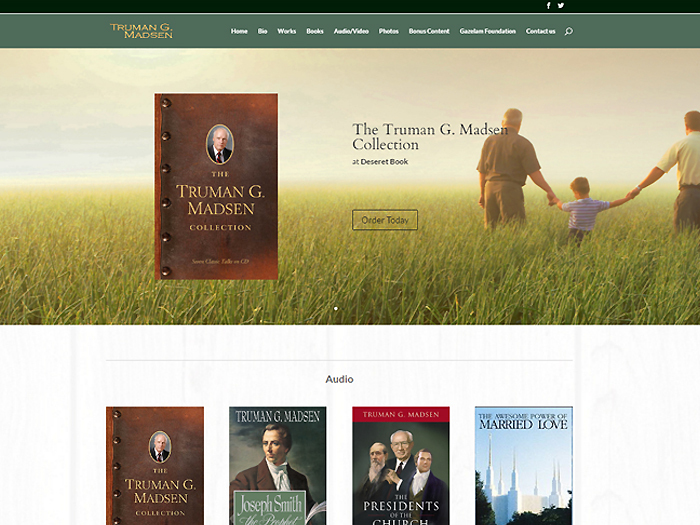 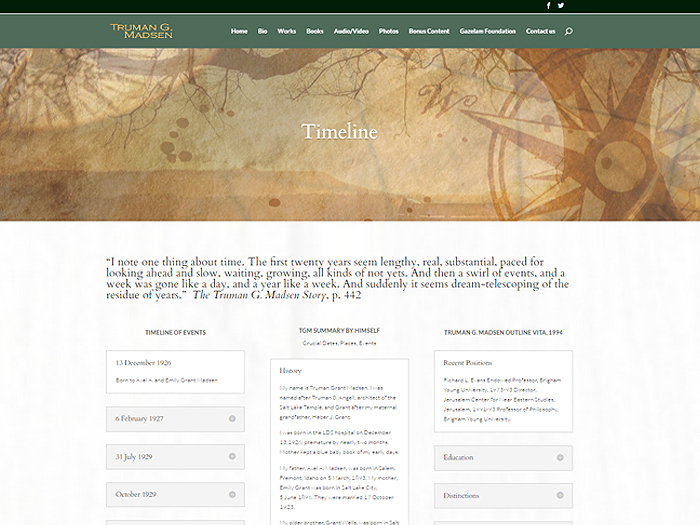 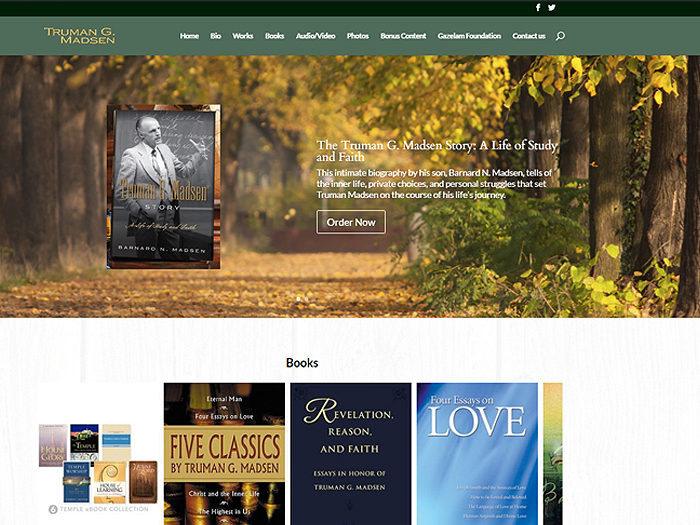 We were asked to create a site in about a 3 weeks for Truman G. Madsen. 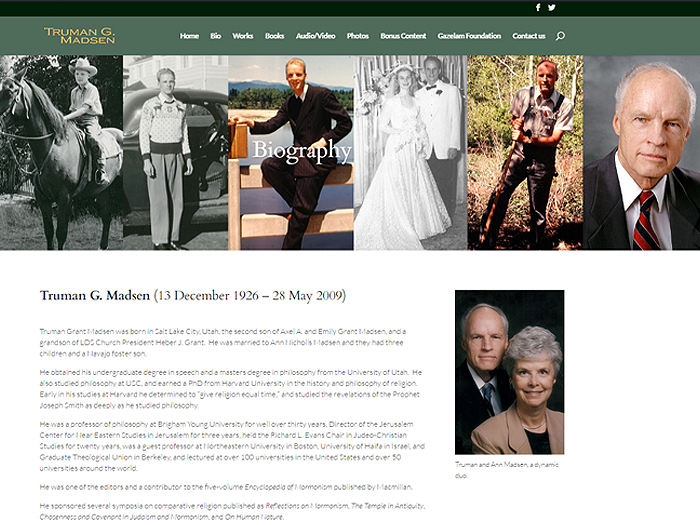 We worked on creating an easy navigation that showcased the imagery, bio, and works of this amazing father and prolific author. 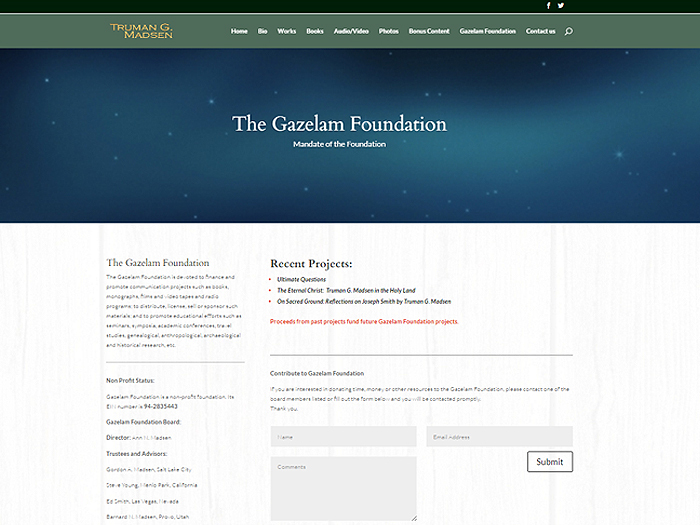 As you can see the site turned out exactly as they were hoping.